Has Rex found the next Revis? Recently, Bills Head Coach Rex Ryan has been characterizing cornerback Stephon Gillmore as the "next Darrelle Revis". At some point, Ryan is going to make news by declaring that cornerback Stephon Gilmore is in the same class as Darrelle Revis. About a month into the job, he was already characterizing the four-year pro as a shutdown corner. “The guy’s an elite guy, no question about it,” Ryan said. Rex might be right in a sense. Gilmore is long and strong, quick to interpret citations, and understands angles and timing. Last year, he was untouchable in both man to man and zone defense. But Revis is still one of the best cornerbacks in history, and he has all the qualities that make a great player. 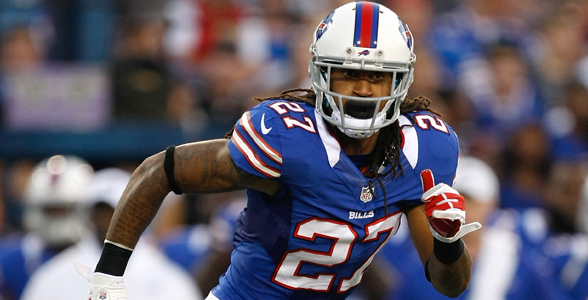 Will Gilmore compare be compared to Revis in time? Will Jim Nantz and Phill Sims be comparing them in week 12, when the Bills face the Jets in MetLife stadium? All of these questions will be answered in time.